Ever since I saw them play to a relatively small crowd at the Laneway Festival in 2011, there’s been a special place in my life for Stornoway. The band’s debut offering, ‘Zorbing,’ has been the mixtape in my car’s six-stack CD player since I passed my driving test and I’ve suggested the beautifully titled album, ‘Beachcomber’s Windowsill’ to every friend that has told me that they’re a fan of “fun, up-beat stuff”. When I heard that they had a new album out, I was quietly confident that it would be as good or better than their other offerings, because if nothing else, Stornoway exudes consistency. It is then perhaps a given then that sophomore album,‘Tales from Terra Firma’ is both excellent and unsurprising. The things that fans have come to expect are all completely intact, albeit with new embellishments to fill out the template in style. There’s a little more fuzz around the edges and a little more ambience and organ whirring throughout. 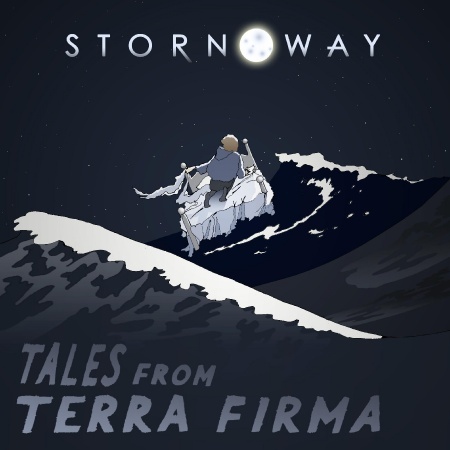 But all in all, ‘Tales From Terra Firma’ is definitively Stornoway. The contemplative lyrics are as hum-able as ever on tracks like “The Great Procrastinator”. The brass and woodwind arrangements are steadfastly twee, and the harmonies that made ‘Beachcomber’s…’ so vivid are back and imbued with a Crosby, Stills & Nash-like eeriness on “The Ones We Hurt The Most”. As a whole, the album is folky, thoughtful and up-beat – a kind of Mumford & Sons for Belle & Sebastian fans to be listened to while traversing windswept countrysides or played quietly while boiling the kettle and watching rain streak misty windowpanes. The lack of revelations does at times see the album become pleasant background music when listened to in full. That being said, each individual track is worthy of a spot on that playlist you’re compiling to impress someone special. Ultimately, ‘Tales From Terra Firma’ is true to its title. It doesn’t take the listener anywhere new, but neither does it encourage them to leave once they’re there; and because of this, tracks like “You Take Me As I Am” will probably be on rotation in my car for at least another couple of years. This entry was posted in Arts, Music and tagged belle & sebastian, indie, mumford & sons, stornoway, tales from terra firma, twee. Bookmark the permalink.